Birdwatching is a hobby that sometimes pleases, sometimes frustrates, but always enthrals. 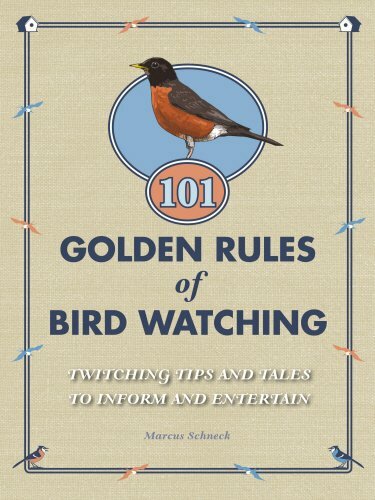 It is a pastime that can take years to understand and 101 Golden Rules of Birdwatching is the perfect companion for that journey - filled with wise advice alongside tales of personal experience. Not only does the book include anecdotes about this unique activity that will resonate with any bird watcher, it also provides valuable hints and tips and essential dos and don'ts. Packed with practical, hard-earned advice from a life-long birdwatcher, it will help you track down new and elusive species, attract more birds to your garden, and make the time you spend on your favourite hobby more rewarding than ever before. From the birding beginner to the experienced twitcher, 101 Golden Rules of Birdwatching has something to entertain and inform all nature lovers.